This article gives step-by-step instructions on how to do it for each type of notification emails. 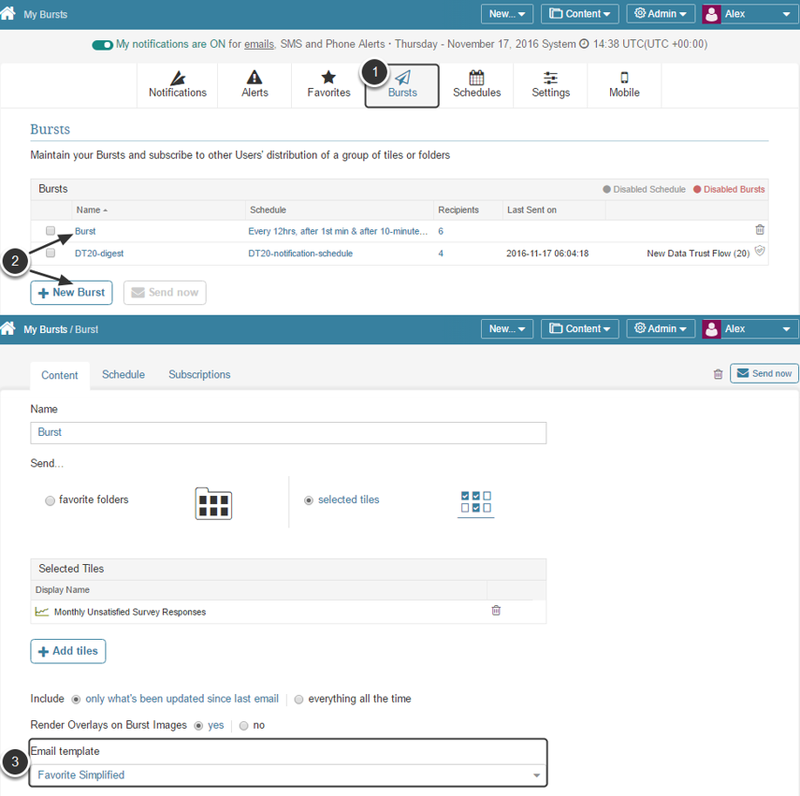 In the Email Templates list find alternatives for Alert templates: Alert and Alert Simplified or custom ones. The one that is marked as 'Alert' a default one. Only one alert template can serve as default. 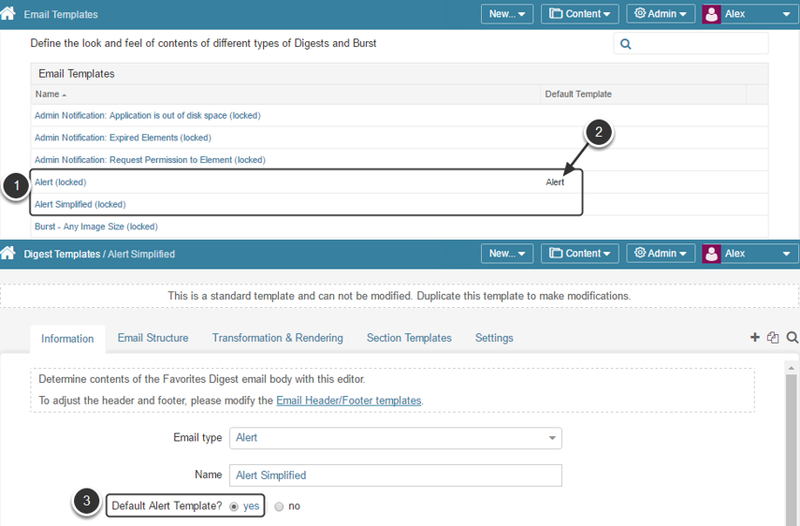 The new Alert Simplified email template is a safe option that can be used for different legacy email clients. To make Alert Simplified a default template, open it and make sure that Default Alert Template? filed is set to 'yes'. 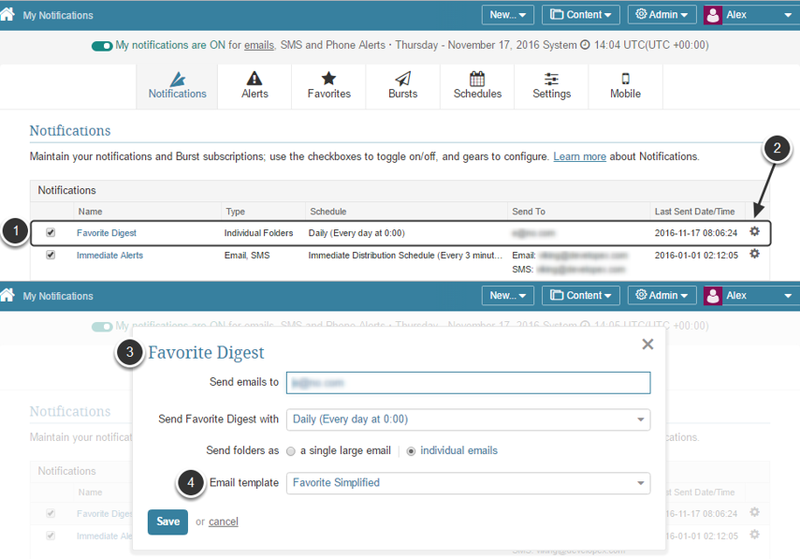 Select Favorite Digest in the Notifications grid. Click the Gear icon in the respective row. The Favorite Digest pop-ip opens. In the Email template field select "Favorite Simplified" from the drop-down list. Do not forget to Save your changes to apply new settings.